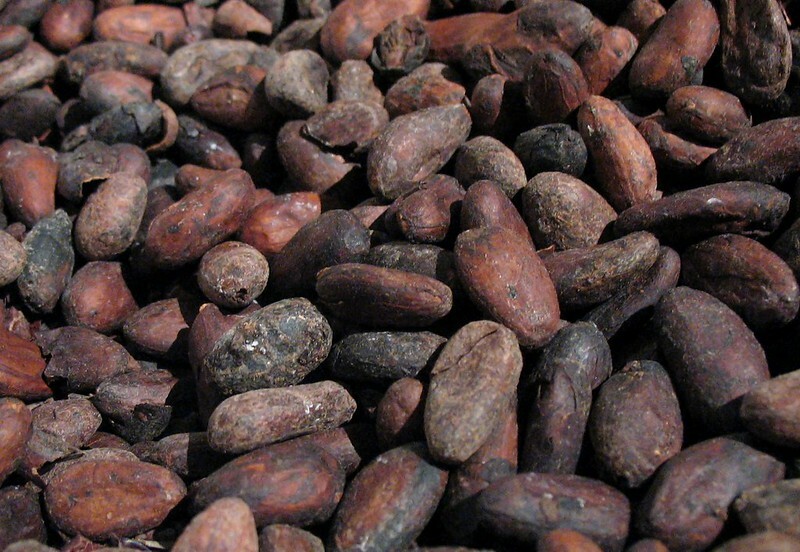 The present invention relates to a solvent-derived, cocoa extract comprising between 25 and 65% by weight of polyphenols, and uses thereof for improving a beer production process and the resulting beer product. 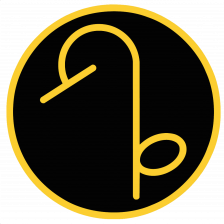 The invention further relates to a method for improving a beer production process as well as the beer product resulting from it. 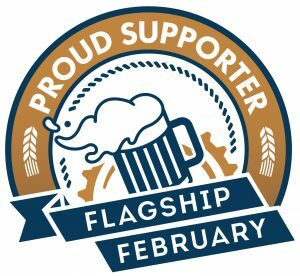 The invention further relates to a beer product with improved quality such as enhanced colloidal, taste and flavor stability. 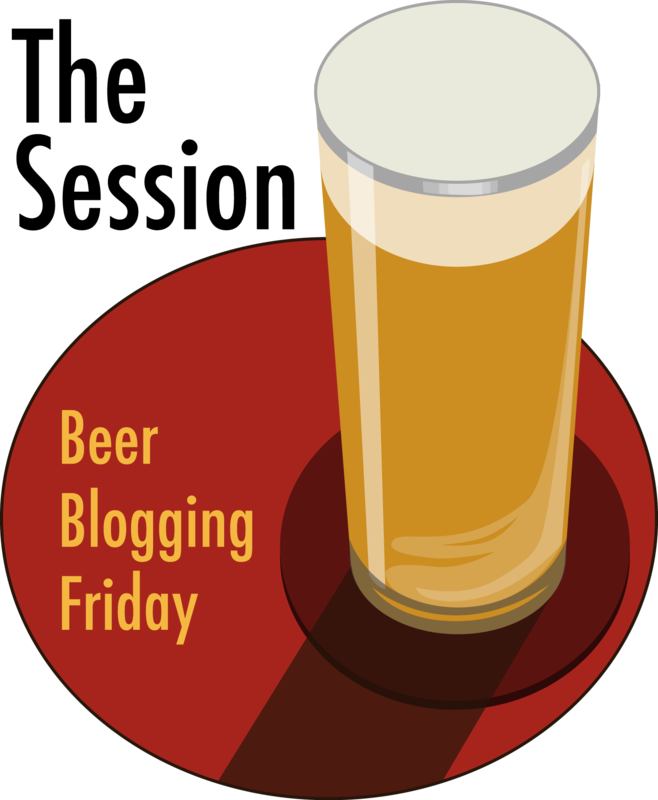 The invention also provides a beer with exogenous polyphenols and a beer comprising at least one cocoa polyphenol. Furthermore, the present invention includes a use of exogenous polyphenols as process enhancer and a use of cocoa for enhancing filtration processes. 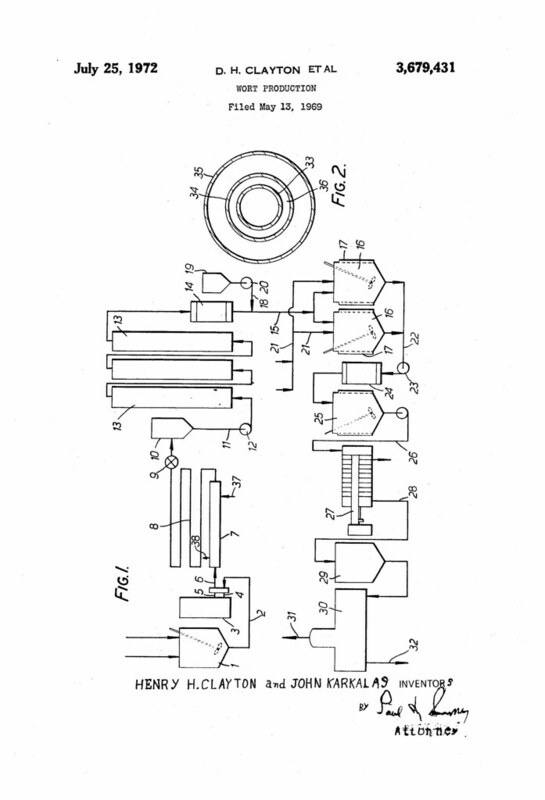 This invention is concerned with improvements in or relating to wort production. – Wort contains in addition to fermentable carbohydrates, soluble nitrogeneous compounds. Barley malt is the traditional raw material for the production of wort since it provides a source of carbohydrates and “nitrogen com pounds and in addition provides the enzymes capable of degrading the carbohydrates and nitrogen compounds to the soluble components of wort. The manufacture of malt is expensive because (1) large capital investments are necessary for the malting machinery, (2) a skilled labour force is required to operate the malting machines, (3) malt can only be made successfully from the higher qualities of barley which are expensive and (4) during the malting process a physical loss in dry matter occurs; this is known as the malting loss. 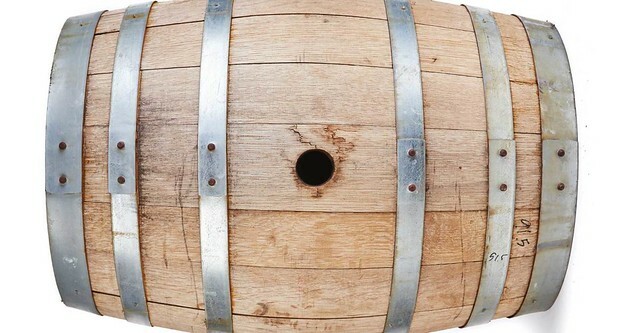 It is an object of the invention to provide an improved method of producing a wort in which the use of barley malt is reduced or virtually eliminated. We have found that wort may be produced by treating an aqueous slurry of starch and protein-containing plant material for example unmalted cereal grain e.g. It appears that said hydrodynamic conditions result in the formation of a homogeneous mass very suitable for the action of the starch liquefying enzyme. Examples of starch and protein-containing plant materials other than cereals include roots, fungi material and by-products of processes to which ‘cereals have been subjected. The invention provides a method of producing wort from an aqueous slurry of starch and protein-containing plant material comprising the steps of liquefying starch by treating the slurry with a commercial starch liquefying enzyme subjecting the slurry to hydrodynamic conditions such that a substantial thixotropic reduction of viscosity is produced by shearing forces in the slurry to facilitate the action of the starch liquefying enzyme prior to any substantial reduction of viscosity resulting from the enzymatic liquefaction converting starch to sugar by treatment with a saccharifying enzyme and converting protein to soluble nitrogen-containing compounds by treatment with a proteolytic enzyme. The invention also provides wort when produced by a method as set out in the last preceding paragraph. 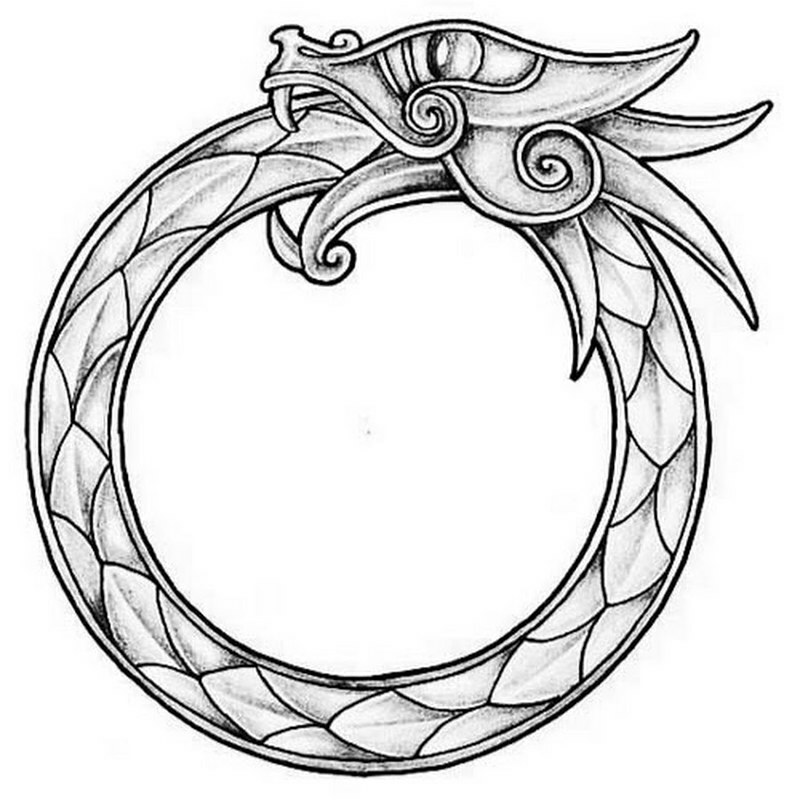 The invention also provides a process for brewing beer including such a method. The invention also provides beer when produced by such a process. 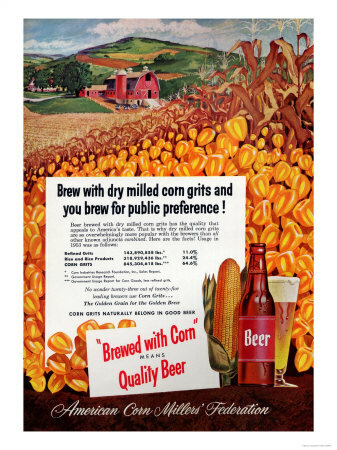 Beer In Ads #1753: So Light! So Right! 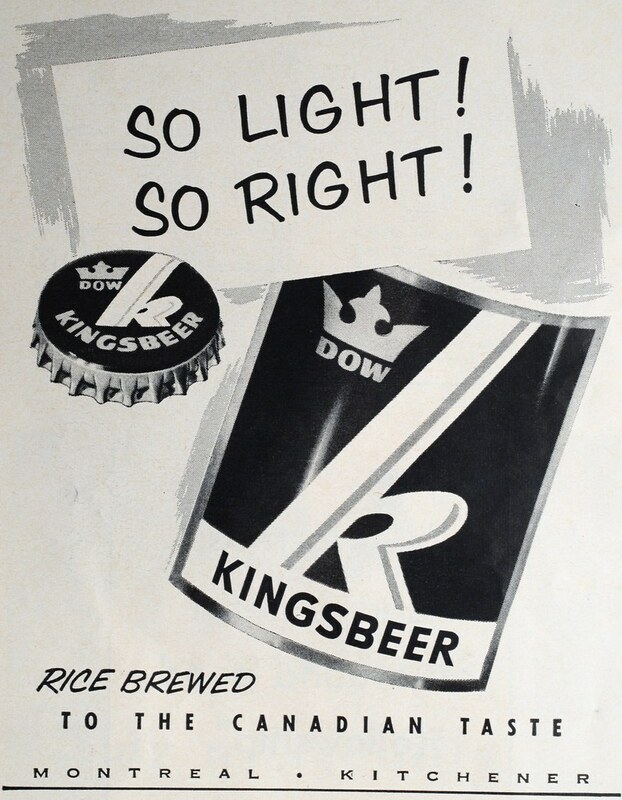 Tuesday’s ad is for Dow’s Kingsbeer, from 1955. Apparently they really know what their customers want, because it’s “Rice Brewed to the Canadian Taste.” Yum. That’s a hell of a slogan. 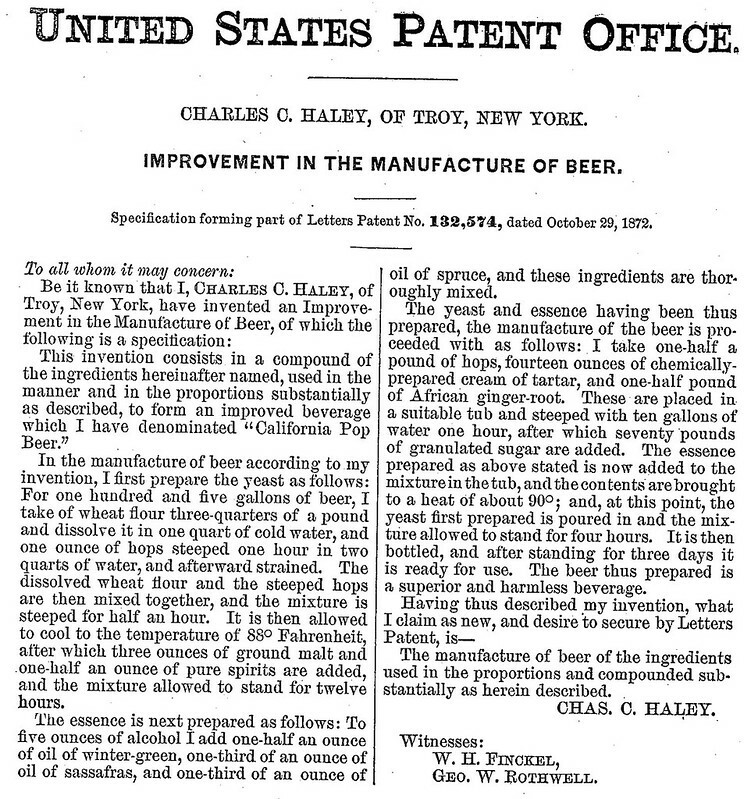 Today in 1872, US Patent 132574 A was issued, an invention of Charles C. Haley, for his “Improvement In The Manufacture Of Beer, which in the application he names his improved beverage “California Pop Beer.” There’s no Abstract, although this is such an interesting one that I’m showing the entire application below, which also includes a recipe of sorts. 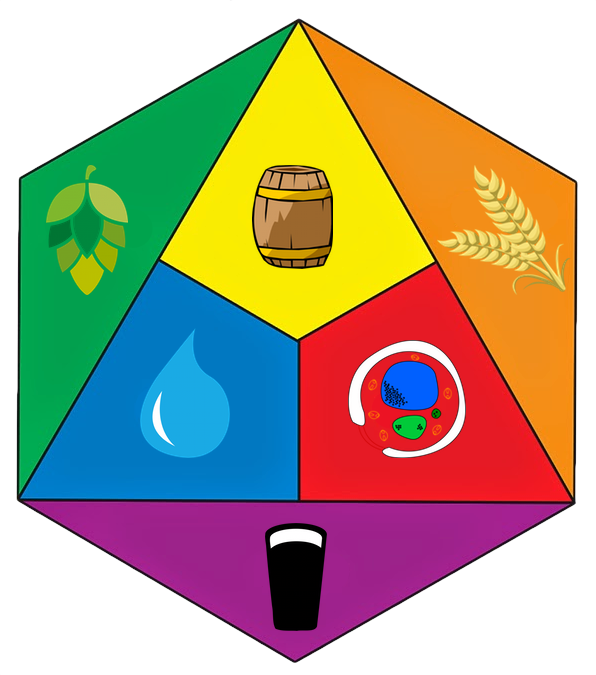 I think someone could probably make this beer, assuming homebrewers haven’t already taken up the challenge, even though it appears there is some general instruction, it seems like educated guesses would have to be made to fill in the unknowns. This invention consists in a compound of the ingredients hereinafter named, used in the manner and in the proportions substantially as described, to form an improved beverage which I have denominated California Pop Beer. In the manufacture of beer according to my invention, I first prepare the yeast as follows: For one hundred and five gallons of beer, I take of wheat flour three-quarters of a pound and dissolve it in one quart of cold water, and one ounce of hops steeped one hour in two quarts of water, and afterward strained. The dissolved wheat flour and the steeped hops are then mixed together, and the mixture is steeped for half an hour. It is then allowed to cool to the temperature of 88 Fahrenheit, after which three ounces of ground malt and one half an ounce of pure spirits are added, and the mixture allowed to stand for twelve hours. The essence is next prepared as follows: To five ounces of alcohol I add one-half an ounce of oil of Wintergreen, one-third of an ounce of oil of Sassafras, and one-third of an ounce of oil of spruce, roughly mixed. The yeast and essence having been thus prepared, the manufacture of the beer is proceeded with as follows: I take one-half a pound of hops, fourteen ounces of chemically prepared cream of tartar, and one-half pound of African ginger-root. These are placed in a suitable tub and steeped with ten gallons of water one hour, after which seventy pounds of granulated sugar are added. The essence prepared as above stated is now added to the mixture in the tub, and the con tents are brought to a heat of about 90; and, at this point, the yeast first prepared is poured in and the mixture allowed to stand for four hours. 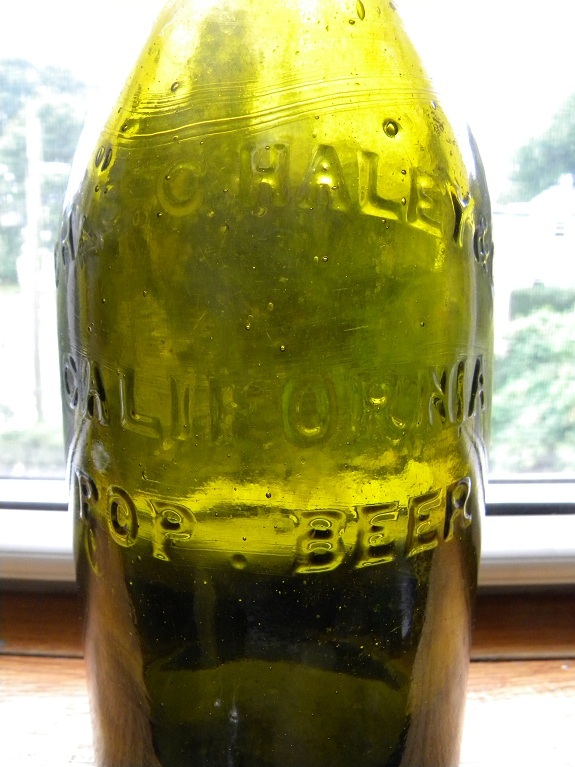 It is then bottled, and after standing for three days it is ready for use. The beer thus prepared is a superior and harmless beverage. 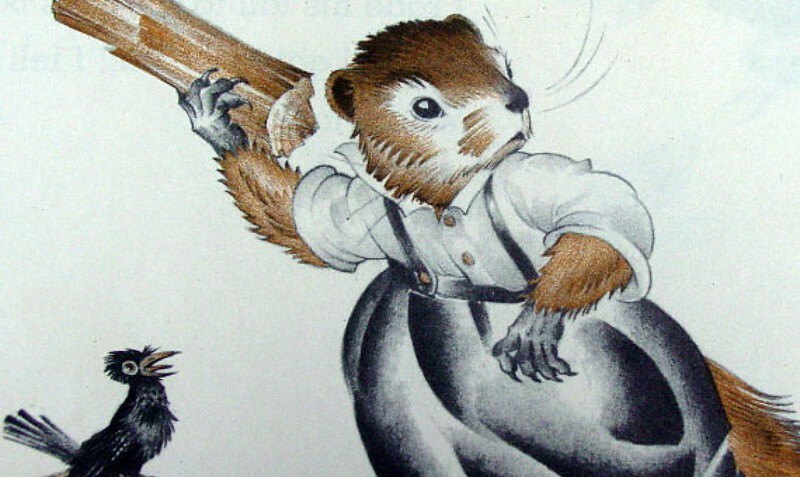 Of course, that could be an early form of advertising puffery. 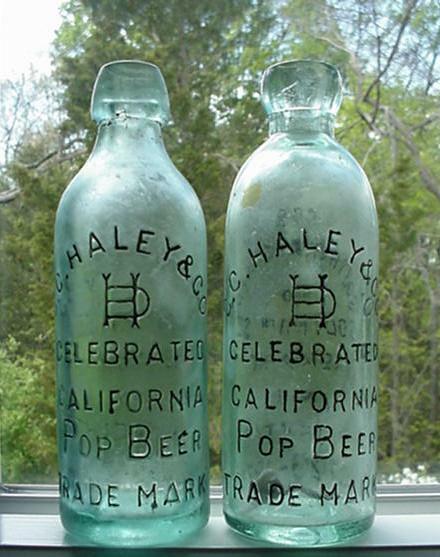 Haley himself was apparently from Troy, New York and so it seems likely his brewery, “C. Haley & Co.” was located there as well, although I’m on the road and don’t have my American Breweries II book for reference and nothing’s coming up online in a cursory search. There are, however, several examples of the name appearing on bottles, generally in the northeast, primarily from New York and New Jersey. 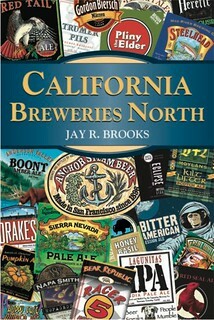 It seems curious that something not from California was named “California Pop Beer.” Was there some reputation California would have had at that time period that made naming the beer this way make sense? 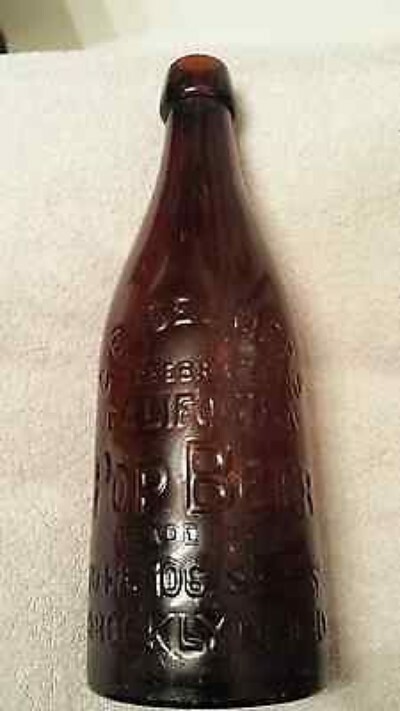 Some bottles even include the date that the patent was approved. 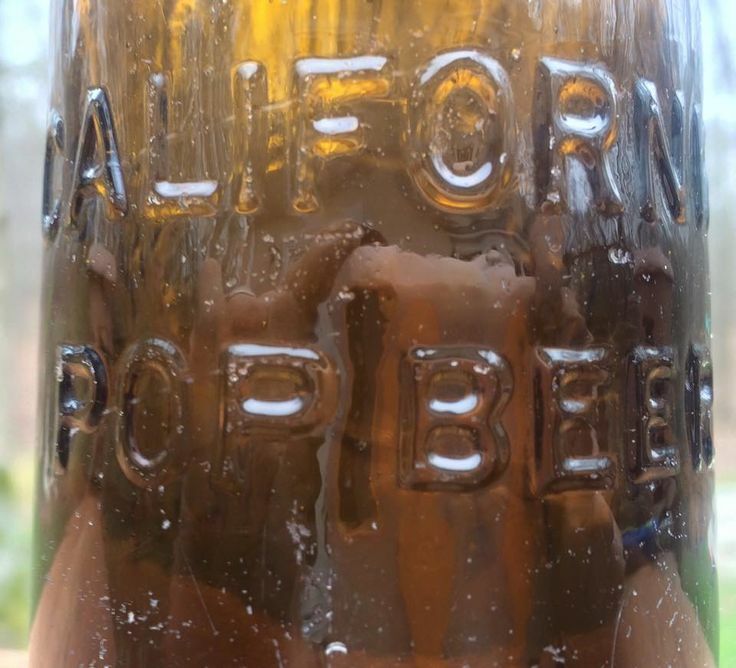 So who wants to step up and brew “California Pop Beer?” Maybe it should be someone actually in California this time? 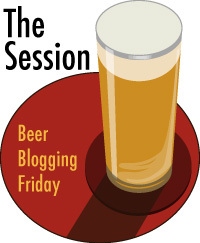 Today’s infographic is from the Extreme Beer Festival that Beer Advocate puts on each year. 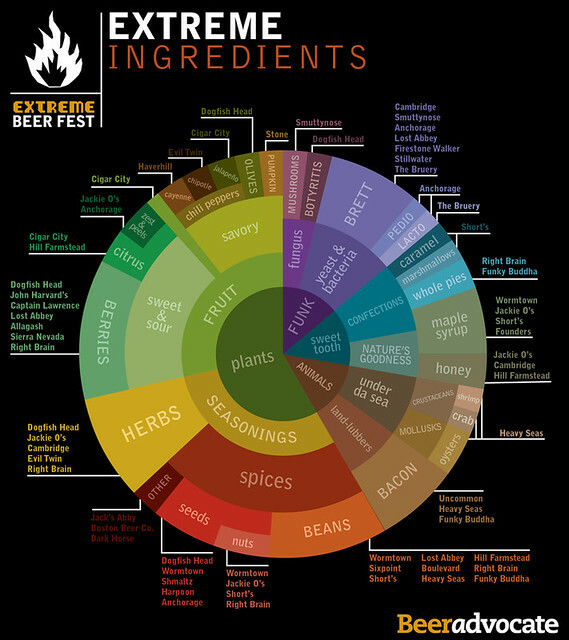 It’s a cool flavor wheel showing many of the ingredients used in many extreme beers, and even has examples of beers using said ingredients in the outer ring of the wheel.